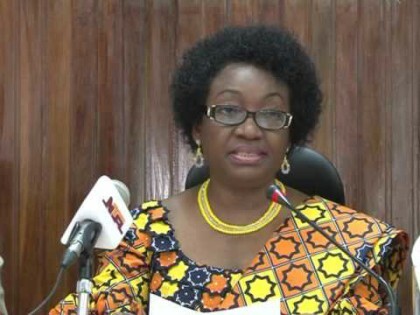 The Head of the Civil Service of the Federation, Mrs. Winifred Oyo-Ita has called for active collaboration between the relevant Ministries, Departments and Agencies (MDAs) of the Federal Government in order to help boast the nation’s economy. The Head of Service made the call in her opening remarks at the meeting of the Public Private Consultative Forum (3PCUF) for all Ministries, Departments and Agencies (MDAs) of the Federal Government, held in Abuja recently. She said that for governments all over the world to succeed in their efforts to explore new ideas to improve service delivery to the populace, there must be a robust synergy and active collaboration between the Public and Private Sectors of the economy which will serve as a platform for sharing experiences on what works, for whom and under what condition. Mrs. Oyo-Ita who re-affirmed government’s commitment to promoting Public Private Partnership (PPP) as a viable development model particularly as the change Agenda places a high premium on rapid modernization and expansion of the country’s infrastructure said further that her Office will continue to support the active collaboration between the Infrastructure Concession Regulatory Commission (ICRC) and all the Public Private Partnership (PPP) Units in the Ministries, Departments and Agencies (MDAs) of the Federal Government so that the objective of the 3PUCF is achieved within the global National PPP Programme. She said that Government approved the establishment of the PPP Units in all the MDAs in 2012 and since then, her Office has been working tirelessly to make PPP Units work for the development of the nation’s infrastructure and ultimate economic growth and job creation. She added that a review of the global economic environment over the past two decades reveals an unprecedented investment in infrastructure across the world driven by the realization that infrastructure is vital to sustained long term economic growth and to meet the world’s critical challenges, which she said include: lifting the over one billion members of the human race out of extreme poverty; coping with the challenges of rapid urbanization and the enormous and increased demand for energy, housing, water and sanitations as well as addressing the threat of climate change to agriculture and food security. Mrs Oyo-Ita observed that the PPP space has become competitive; and this she said was as a result of the fact that the PPP Procurement option has become a preferred option for infrastructure development globally and therefore nations are putting up PPP Projects on the market and competing for the investment resources available in the international financial system. Nigeria, she stressed further “must therefore attract credible and serious partners for all its projects and the only way she can do that is to create the enabling climate, framework and capacities that can produce bankable projects, in order to attract investors both at home and abroad”. Speaking earlier, the Director General, Infrastructure Concession and Regulatory Commission (ICRC) Mallam Aminu Diko observed the urgent need for Ministries, Departments and Agencies (MDAs) of the Federal Government to rapidly adopt PPP Procurement in order to accelerate national development and bridge the infrastructural gab in the country. He said that the 3PUCF forum was initiated by the ICRC to provide a stakeholder engagement platform to accelerate knowledge and experience sharing among key PPP Personnel in the MDAs in order to help boast the nation’s economy.